Thank you for Looking at our 2016 Harley-Davidson FLS Softail Slim!!! This Bike is Equipped with a High Output Twin Cam 103B Engine/1690cc, 6-Speed Cruise Drive Transmission, Vance & Hines Black Exhaust, 5 Gallon Tank, Bluetooth Speaker, 4 Piston Front Brake, 2 Piston Rear Brake, Belt Driven, Saddle Bag, Half Moon Footboards, etc... If you have any Questions or if you'd like to Schedule a Test Ride, feel free to Contact us any time! 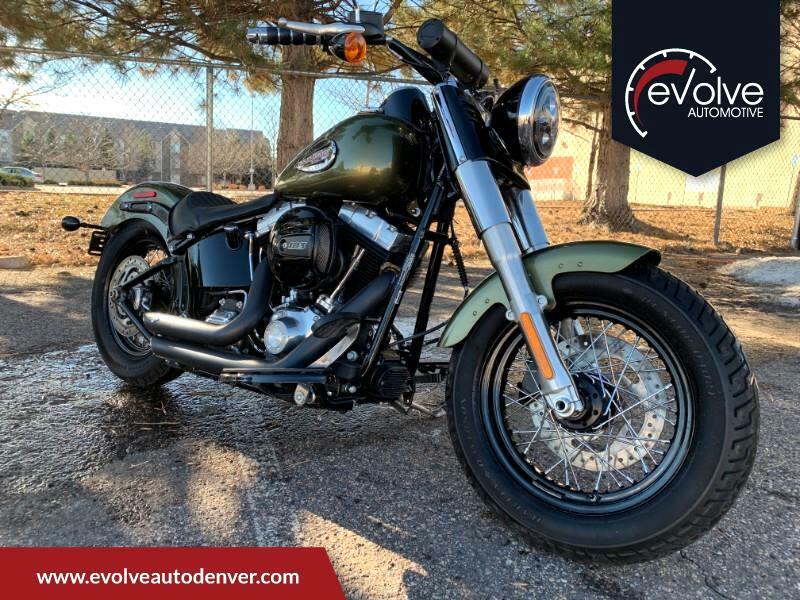 Check out our Entire Inventory at www.evolveautodenver.com We also have a 2018 Fat Bob FXFBS 114 Motor w/2736 miles and a 2017 Breakout FXSB 103B Motor w/2300 miles and a 2017 Oreion Reeper4 4X4 OFF / ON ROAD BUGGY w/118 miles. Message: Thought you might be interested in this 2016 Harley-Davidson FLS.